Just like their humans, dogs also love to go out on swimming trips and boat trips. But, if there is something that you have to remember, it is the fact that not all dogs love the water. If you aren’t too careful, you could even put your dog’s life at risk. 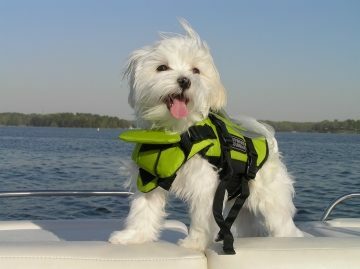 Good thing that you can always shop for dog life jackets to avoid this problem. 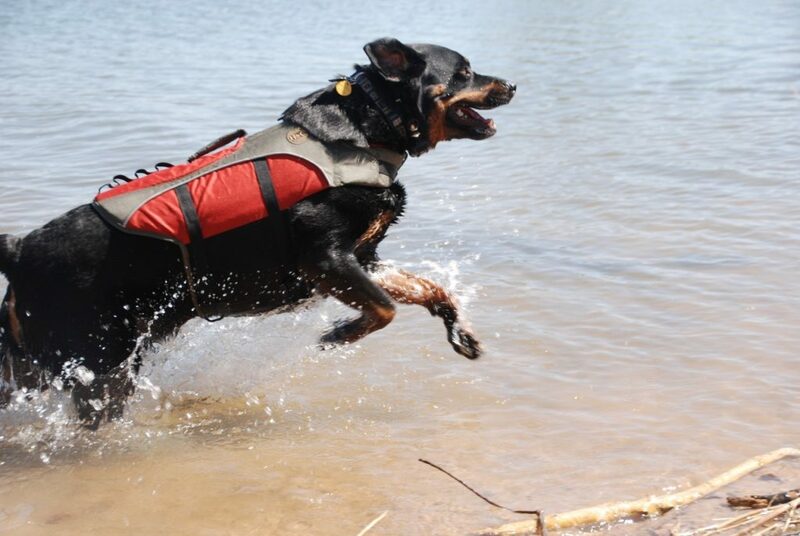 A life vest typically covers just the front of your dog’s body. 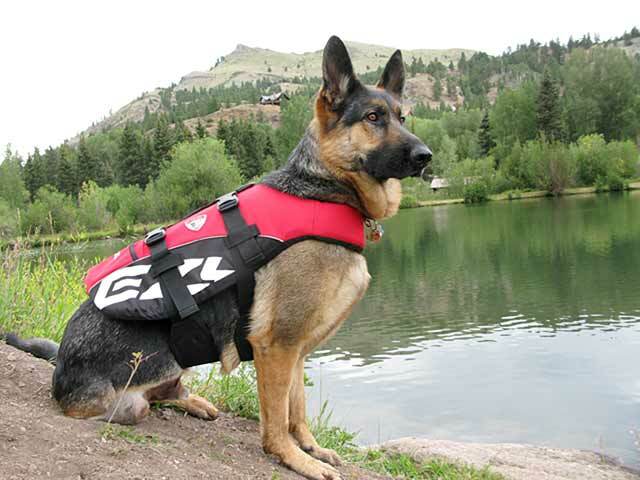 Vests give the dog with more freedom and movement as compared to a life jacket. These life vests are also most commonly being used for recreational activities, such as swimming pools. You will also be paying less for a life vest compared to a life jacket. Vests are smaller as well, with lesser buckles that can make the vests easier to put on and take off compared to a life jacket. 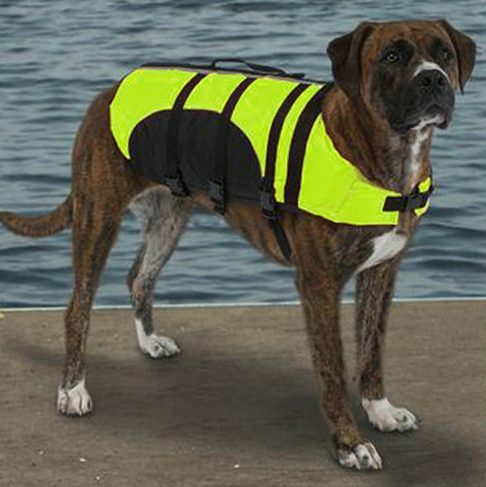 Dog life jackets are usually made of neoprene and nylon. Neoprene and nylon are both durable and sturdy materials which are very easy to clean. Just take note that despite being an attractive and durable material neoprene can also be hot and cause chafing. 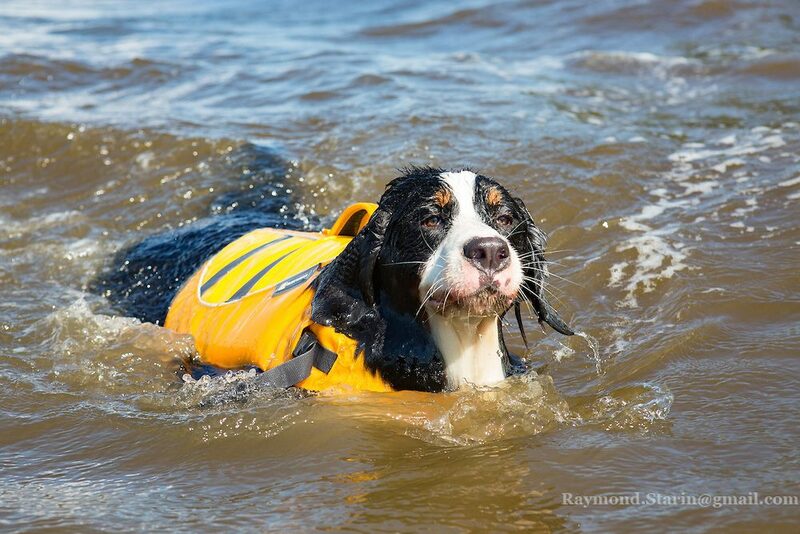 Probably your topmost priority when shopping for a life jacket is to ensure that your dog can swim while wearing it. it is not as common as you would expect and hope. The most usual flaw in design which can cause some issues is a wide or large band of floatation or fabric which straps across the center of the chest of your dog. Try to feel the sides of your dog near the front of his body and you will find a point in which the upper arm and shoulder blade meets. To swim freely, the floatation or fabric must be on top of this point. Bright colors will make it much easier both for you and the rescuers to spot your dog at once. Reflective strips are a wonderful addition, making it much easier to see your pet in limited visibility or at night. Other owners may raise their brows on this but if you can find one, go for the best looking dog jacket that will meet all the criteria mentioned above. When you feel good about your pet wearing a vest, she will also feel good about it as well. This means that the vest is going to stay once you get on the water, and this is the primary point of the entire exercise. Aside from that, your dog will also appreciate and love the attention that it will get while wearing that cute jacket. One final tip to remember when searching for a life jacket is to always give your dog some treats on the first time you put the jacket on. It will help your dog associate the act of wearing the jacket with a very positive experience. How to Know That Your Dog Is Suffering from Depression? !